Trying out new skincare is definitely something that scares me and I can’t be the only one! However my love of French skincare made me quite excited to try this mask, and the fact it’s getting colder and that’s when my skin needs hydrating the most. 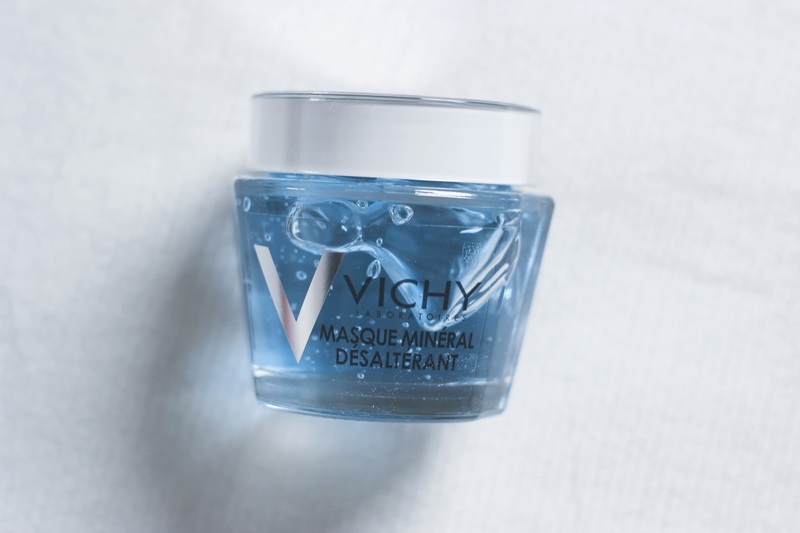 The mask contains Vitamin B3 and Vichy Mineralising Thermal Water from French volcanoes, making it an instantly refreshing mask. I like the packaging of the mask, it feels very high end and contains a lot of product. I love how there’s a mirror on the top – this is great for when all of the other mirrors in my bathroom are steamed up after a shower. It’s also great for when someone else is in the bathroom! 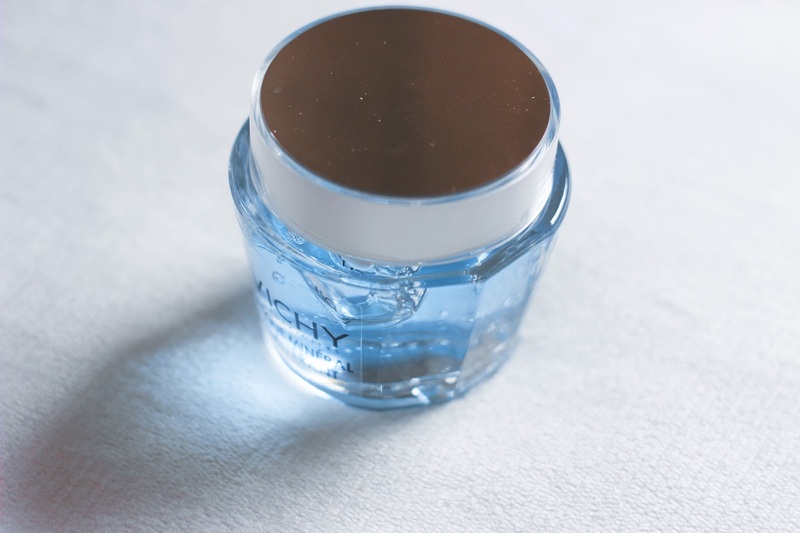 I was hit with the green tea and jasmine fragrance when I opened this pot, you can tell instantly that it’s going to be cooling and hydrating on your skin. I apply the mask at night after I’ve cleansed my face, it says to leave it on for 5 minutes and then massage the excess in. 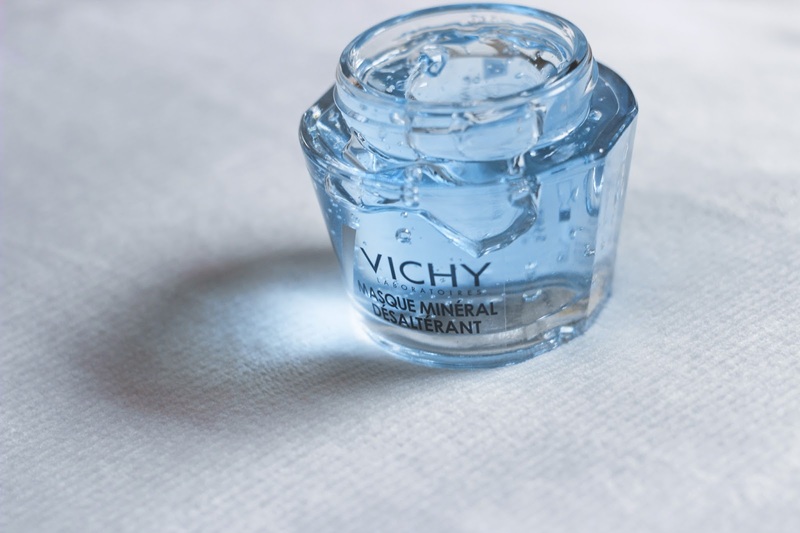 You don’t need a lot of product at all to cover your face and it feels hydrating and cooling as soon as it touches your skin. I leave it on overnight to sink in and when I wake up in the morning my skin feels so hydrated and soft. What I love about this mask is that you can still feel the hydrating effects on your skin even after it’s washed off, and until the next day! I do have oily skin but I found that it didn’t make anywhere but my nose any extra oily, which is amazing as I wanted to love it and for it to not make my skin extra oily. 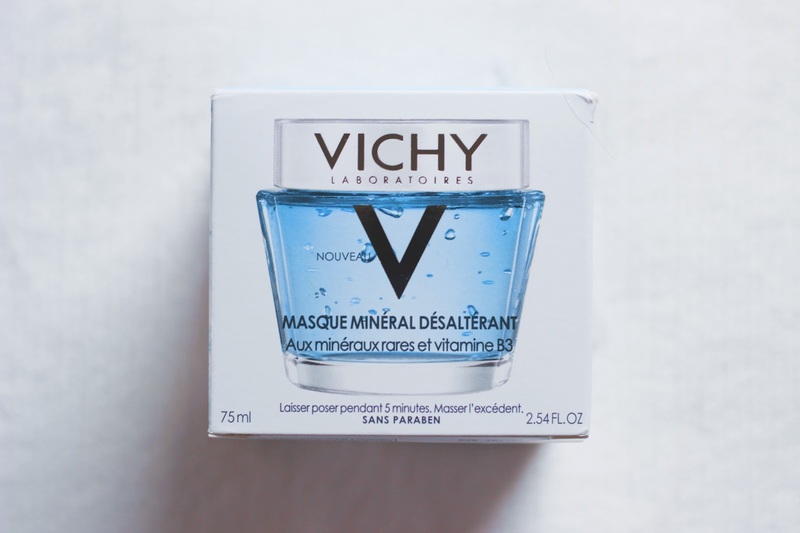 The Vichy mask did not disappoint and it does it’s job very well. It doesn’t make my sensitive skin red and blotchy like some other masks do. I’ve been using it twice a week, and I’ll be using it all throughout Autumn and Winter to keep my skin hydrated and soft.